If you want your garage floor to last a lot longer while retaining that bare concrete appearance, it is always a good idea to seal it. When using the right application techniques, the garage floor sealing process can be completed with minimal fuss. Below are eight tips that may help you successfully seal your concrete garage floor. The tips listed below are meant for individuals who want to seal and keep the concrete appearance of their garage floors with a densifier sealer, penetrating sealer, or thin film-forming sealers like hybrid acrylic blends and acrylics. Even though concrete densifiers are not really sealers, they now come with siliconate agents and silicon to repel liquids. Thus, they can loosely be considered sealers. 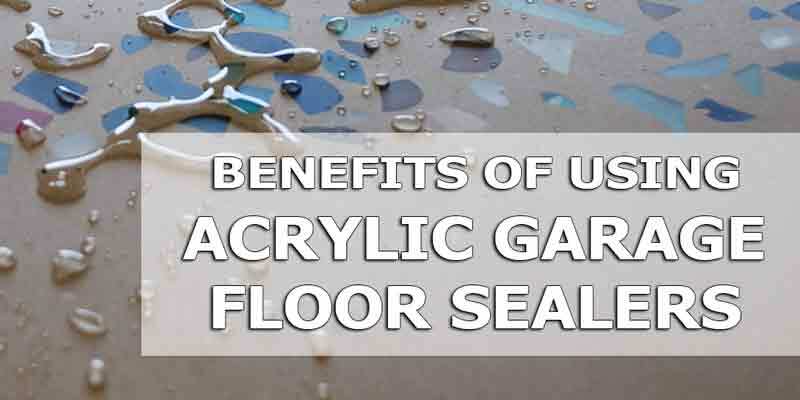 If you want to seal your floor with a thick resinous coat like polyurethane, epoxy, or polyurea coating blends, you should also read on. If you want to have a spotless application of your concrete sealer, it is best to be mindful of the following steps. After all, there’s nothing wrong with heeding a few tips laid out by concrete sealing experts. Mistakes are usually committed when you do not follow instructions. 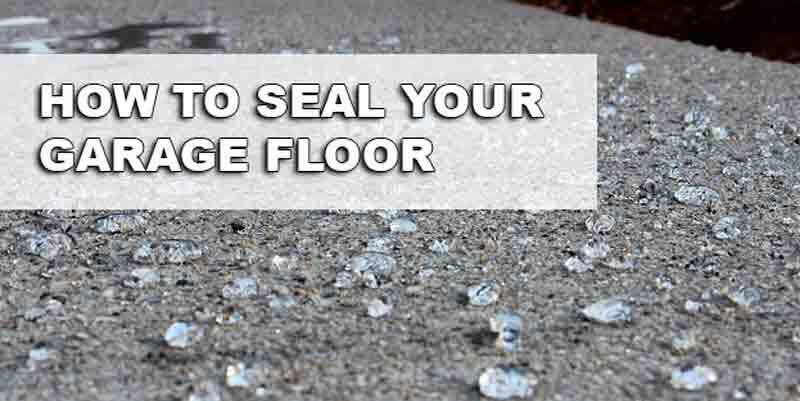 Even if you have sealed your garage floor before with a concrete sealer, every manufacturer has its own particular instructions set that you should follow. If you are in doubt, first call on the manufacturer before applying the sealer. 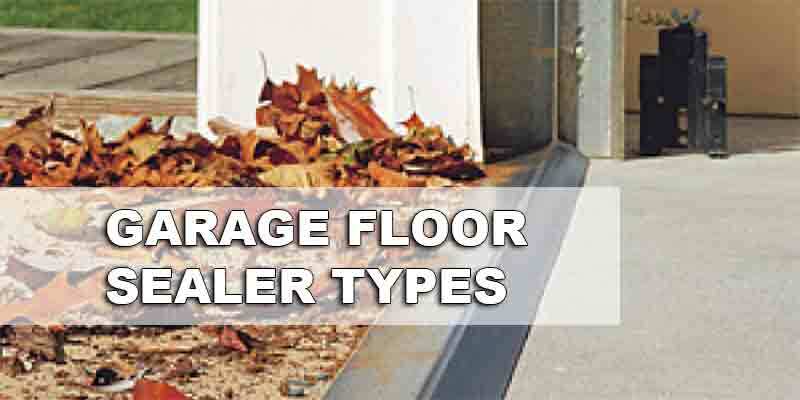 The proper preparation of your concrete garage floor is important to the right sealer application. You have to make sure that your floor has the right surface profile and is spotlessly clean. Many concrete surfaces should have a porous surface so that the sealer can adhere to or penetrate into the surface. Ask your manufacturer about the required surface profile. In addition to surface cleaning, you may first apply a mild acid etch solution or lightly sand the floor’s surface to ensure proper sealing. Here’s a tip: your concrete garage floor should be thoroughly dry before putting on the sealer. Many sealers have adverse reactions to concrete that is somewhat wet. Never skimp on roller covers. Use excellent quality roller covers (lint-free) with brands like Wooster Doo-Z or Purdy White Dove. Such rollers are shed-resistant and won’t deteriorate from certain sealers’ solvents. To use the roller cover properly, run it over a duct tape strip to take away any loose lint. This makes sure that you will have no lint on your garage floor’s surface. Also be mindful of the nap thickness. Many sealers have 3/8” or ¼” nap rollers. If you use nap rollers thicker than these, it can lead to a heavy application that can cause problems with the performance and looks of the sealer. Topical sealers like acrylics, which are likely to form film, should be applied in several thin coats for these to be effective. If applied thickly, they can develop bubbles, blisters, foam, and hazing, and they may look milky as they dry and cure. Cracks within the sealer (stress fractures) may develop when the sealer is applied too thick in a single application. Concerns regarding seeing lap lines or roller marks are commonplace when putting on thin film-forming sealers like acrylics. For you to do away with roller marks, have a wet edge and try not to stretch the sealer by allowing the roller to run dry. Keep the roller wet and run over the previous pass by one inch or two for both passes to mix in together during the curing process. 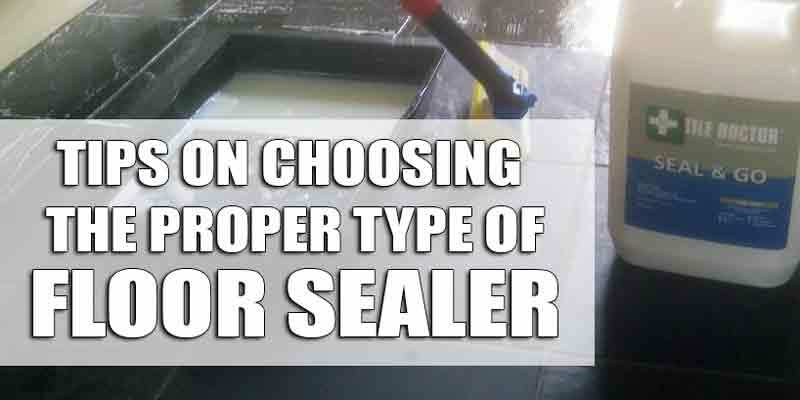 Plus, you should never apply the roller over a sealed section that has begun to cure. Otherwise, this may lead to a mark that looks blotchy, and that mark will be as wide as the roller. If you are using a garden-type pump-up sprayer to apply your sealer, use a nozzle that is cone-shaped instead of fan-shaped. The cone shape allows you to distribute the sealer evenly and helps in avoiding dark stripes and heavy overlap marks in the concrete. When using a pump-up sprayer, apply the sealer in a circular pattern (for even distribution) and not from side to side. Also keep a constant air pressure through the nozzle for you to provide a spray pattern that is consistent. When using a pump-up sprayer, you should first filter the sealer with a paint strainer. This helps prevent clogging up the nozzle as a result of sealer material clumps. A coffee filter works just as well if you do not have a paint strainer. Acrylics and other film-forming sealers must be applied at temperatures of 50°F to 80°F. If the temperature is a tad warmer than 80°F, the sealer may rapidly cure and can cause bubbles to form from the rapid evaporation process. You should not apply the sealer if you expect rain within 24 hours of applying the sealer. If the humidity is above 85%, refrain from applying the sealer. Densifying and penetrating sealers may be applied usually at temperatures ranging from 40°F to 90°F. Check with the installation instructions to verify the application temperatures. When you apply a penetrating or densifying sealer to your garage floor, do not allow the sealer to form a puddle. Here’s the rule: if the sealer has not yet been absorbed into the surface after 8 to 10 minutes, remove the excess sealer by back rolling it. Some penetrating sealers and densifiers need agitating with a stiff brush to encourage absorption into the surface. Check with the manufacturer on this. If the puddles are allowed to dry, they will form a substance that is hazy white on the surface. Also, it takes time and a lot of scrubbing to get rid of this substance. Puddles that result from acrylic sealers will become hazy and may have those telltale stress fractures that resemble cracks. Good advice to check the air temperature. That should definitely be on the final checklist before getting started. Thanks for sharing.